Start a Business Degree at American Military University. U.S. Army & U.S. Air Force Veteran. Managing Editor, InMilitary.com & InCyberDefense.com. Speaker and veteran advocate. Reach out to Wes on LinkedIn. Editor’s Note: This is the fifth installment of In Military’s ongoing entrepreneurship series. Catch up on previous veteran entrepreneur interviews. Nick Carson is a Marine veteran, sniper and Purple Heart recipient. He’s also the founder of ecommerce business American Built Clothing. 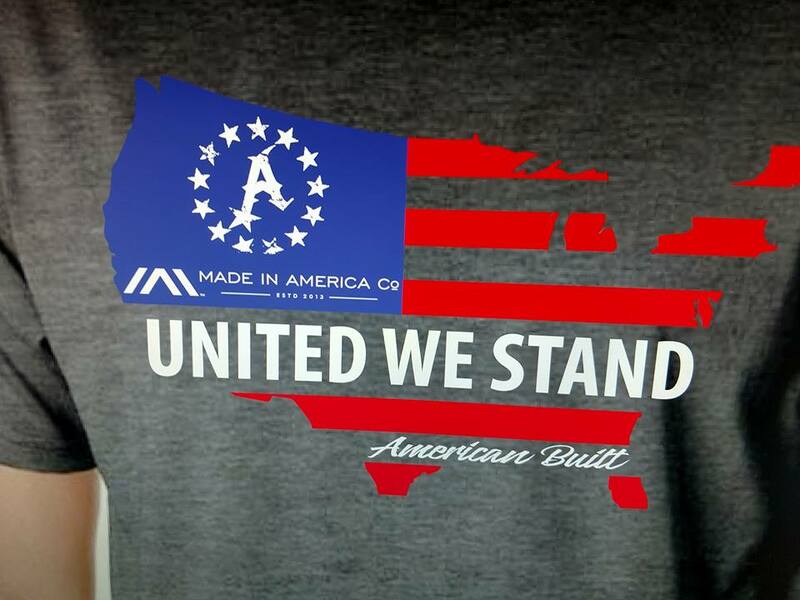 Founded in 2012, American Built Clothing believes that made in America is the only way to go amid the growing resurgence in American manufacturing. Ecommerce trends agree: Overseas ecommerce purchases are in the majority on all continents except one, North America. It’s increasingly obvious that American shoppers love the “Made in the U.S.A.” label. Through years of hard work, Nick may have just unlocked the two secrets to American ecommerce success: Made in the U.S.A. and bulletproof customer service. As of this writing, American Built has 22,000 fans on Facebook and 72 reviews averaging five out of five stars. You don’t receive that level of social validation without positively engaging with your customers and a company culture that puts the customers ahead of everything else. Nick has created one of the most recognizable clothing brands in the veteran community. I recently sat down with Nick for a one-on-one interview to chat about his journey. Wes O’Donnell: Nick, thanks for your time. Can you tell me a bit about your military service? Nick Carson: Thanks for having me, Wes. I enlisted in the Marine Corps in September of 2002, did two tours in Japan and one in Iraq. I was injured in Ramadi, Iraq, in 2004 and received the Purple Heart medal. After I healed, I applied to and was accepted into sniper INDOC [a sniper pre-screening course] in which only 14 of us finished out of 60 Marines. Out of those 14 Marines, only the top seven moved on to sniper school. Only three of us completed the advanced sniper course. Editor’s Note: The Marine Scout Sniper Training is an elite military school and one of the toughest special operations courses in the U.S. military. The course is extremely grueling, both physically and mentally. Candidates must perform tasks with sleep deprivation and not make mistakes. They are required to hold themselves to a higher standard than that of their peers, show maturity, be in optimal physical condition, have knowledge and comprehension of assignments, and have mental stability and fortitude. Nick: Eventually, my previous injuries started to hamper my skill set. I had some vein damage in my chest from Iraq and spent a month in the hospital undergoing multiple surgeries. Ultimately, I was honorably discharged. Wes: I know a lot of active-duty men and women serving right now who are going to be reading this, but I don’t think a lot of them are well prepared for that transition. Tell me about that transition for you. How hard was it? Nick: It was tough for me. I went from operating as a high-level sniper and being very good at my job to my quiet hometown in Pocatello, Idaho. It was a shock to suddenly be without purpose. Wes: So where did the idea come from for American Built? Nick: I got out in 2006 and was living a very destructive lifestyle. I was going through a divorce. My best friend, who had joined the Navy while I was in the Marines, came to me with the idea of American Built Clothing. We officially opened in 2012. Wes: In the early days of your business, how did you build credibility? The reason I’m asking is that there are thousands of military clothing stores on Shopify alone. How did you rise above the rest? Editor’s Note: Shopify is an ecommerce platform headquartered in Canada that allows individuals to start an online store with very little overhead. It is one of many competing platforms looking to tap into the growing wave of ecommerce entrepreneurs. Nick: You know, when we started in 2012, we started part-time as a hobby. Obviously, this hindered our growth and allowed some of our bigger name competitors to shoot ahead. We jumped in full-time in 2015 and our laser focus on customer service really allowed us to close the gap to a degree. We rise above other companies because our customer service policy is simple: we will do anything to make it right. It’s insane how so many companies screw this up. Customer service is one of the most cost-effective ways to stand out from your competition. Wes: For a new military veteran entrepreneur, there are a lot of unknowns. How do you minimize the unknowns? Nick: Simple. Ask for help. Find a mentor who has been there and done what it is you want to do. My biggest issue as a sniper, a unit that typically operates alone, was to do everything in my business on my own. Once I started to ask for help, business exploded, in a good way. In fact, a business coach has been instrumental for us at American Built. Team up with people who are good at what you want to do. 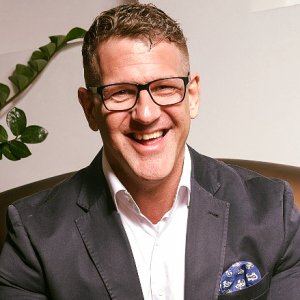 Steven Kuhn is a veteran and business coach who has been instrumental in our business success. His philosophy of H.I.T. or Honesty, Integrity and Transparency has really resonated with me and by extension, American Built. Wes: If you were to point to your biggest mistake, would it be starting part-time and not jumping in full-time? Nick: Yes that, and also having no experience from the start. I had to learn everything very quickly. Our biggest challenge has been inventory control – trying to decide what to produce without losing money. Wes: Let’s talk about funding because a barrier for a lot of veterans who want to start a business is lack of funding. Some otherwise brilliant veterans may not have the credit scores to secure a bank loan. How did you fund American Built? Nick: I had some money in my savings and started small in my grandpa’s garage. Some people talk about not wanting to leave a good full-time job to start a business, so I tell them that there are things you can do in your off time. For example, you can test the market, get feedback on a product line and get opinions from experts. All of this work can be done while you’re still employed somewhere else. Find your niche, get specific and then test the idea. When the time is right, jump in full-time. Wes: Any plans for a brick and mortar store location or are you sticking to online retail? Nick: No plans for a storefront right now. We have the warehouse where we produce our clothing and people can visit by appointment. We pride ourselves on showing people that our products are not just made in America, but even the cotton in our shirts to the ink we use is all made in the U.S.A.
Wes: I know it’s rare when Marines read, but what book are you reading right now? Nick: Ha! Actually, I’m reading “Own the Day, Own Your Life” by Aubrey Marcus. Wes: And finally, what charity work does American Built engage in? Nick: We do a lot of things in our local community. We participate in a local event where a cross is placed for every servicemember killed in Iraq and Afghanistan. It’s called the Field of Heroes memorial. We also participate in Toys for Tots, a proud Marine tradition. Wes: Nick, thanks for your time today. I’m looking forward to my complimentary Space Force t-shirt. Nick: My pleasure, Wes. Semper Fi. Check out what makes American Built unique.